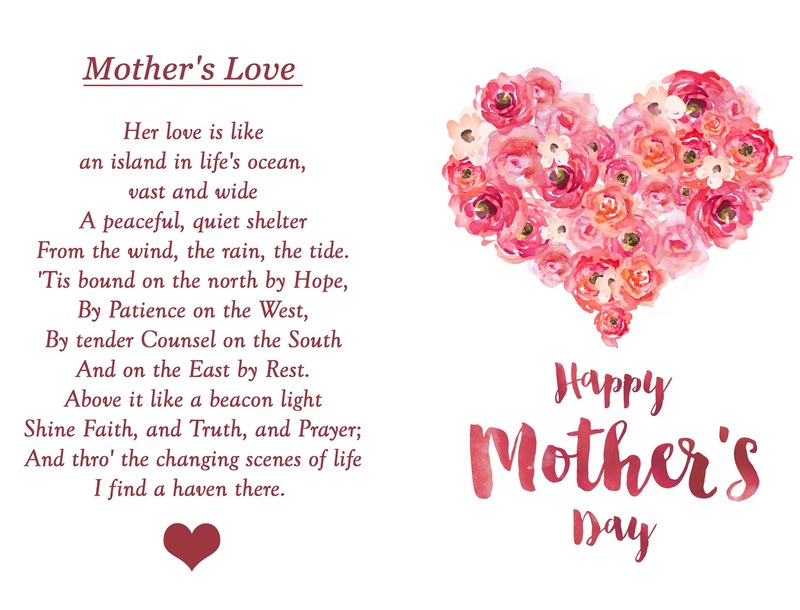 Mother's Day Gifts & Ideas! Mother's Day is only two days away! Can you believe it? If you can't, and you're still in need of some gift ideas for mom, I'm here to help. I've put together five easy, universal gift ideas that mean a lot and show mom you care. You can choose one, or combine a few, or combine them all! Or if you've already bought mom her gift, maybe one of these would be a nice extra. They never get old! Maybe literally they do, but as a gift? No way! Buy your mom a bouquet of her favorite flowers, or roses if you're not sure. That's not all though! A bouquet of flowers is a beautiful gift, but if you're bringing it to her home, it's so much better to have them already trimmed and arranged in a nice vase; that way she doesn't have to do that work herself. What could be better than breakfast in bed? My family is a huge fan of this french toast bake recipe that I make every year for Christmas; it's an absolutely delicious recipe that can be used for any holiday. It can of course be used for any day too, not just holidays, but it's so rich and incredible that we reserve it for special occasions in our house. Whether it's at the spa or at home, mom deserves to have some time off and be completely pampered. Find a local spa and get her a gift card worth a treatment or two, or go out and buy some DIY spa day treatments to do at home with her. If you're getting together for Mother's Day dinner, it goes without saying mom shouldn't have to cook it herself. Grab your apron, your cooking tools, and whip up mom's favorite meal. It's always extra special when it's cooked by you. And dessert; can't forget the dessert! Whether it's store bought or handmade, it's always even more meaningful when it's uniquely for her. Monogramming is special and can be done on anything, whether it's a piece of jewelry, a handbag, a mug, a vase- you name it and it can be monogrammed. But a customized gift can also simply be a favorite family photo with a heartfelt note on the back, in a beautiful frame that matches her home. For the DIY spa day I mentioned above, here are a few items I think would be perfect to include! A plush robe and cozy slippers are a must for spa day. As is a face mask, and this one from Mario Badescu is perfect for firming and nourishing mature and sensitive skin. And to keep the hair out of her and your face while the mask is on, this headband is an adorable choice. Some extra pampering can be treating her undereyes with these patches from Tarte and brightening that beautiful smile of hers with this at home teeth whitening treatment from Smile Brilliant. While she's letting the treatments work their magic, you can light some candles. turn on her favorite mother daughter movie, and paint her nails a pretty color that'll match anything. The best meal of the day is even better when it's made for you and brought to you! 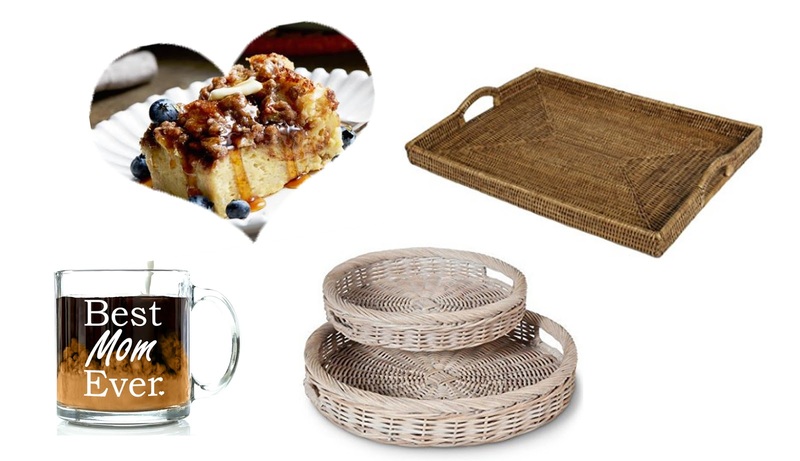 After you make mom this absolutely delicious french toast bake, you can bring it to her, along with a cup of coffee or tea in this adorable "best mom ever" mug, on this gorgeous rectangular rattan tray or this circular wicker tray. 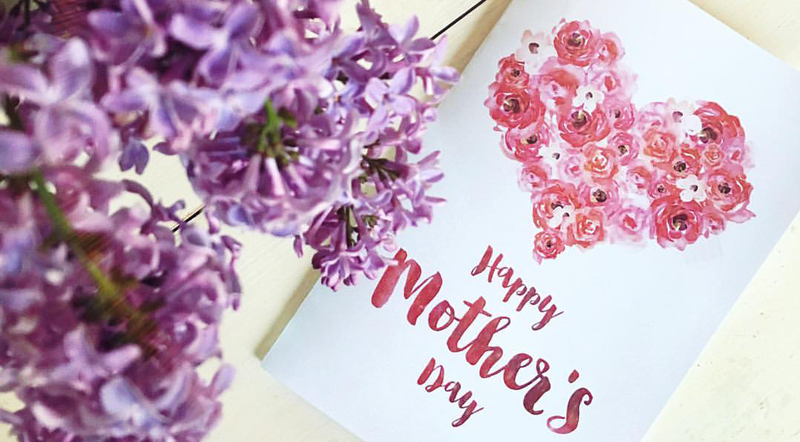 I hope you all enjoyed this post and it helped anyone looking for last minute Mother's Day gifts!